There’s nowhere quite like the Caribbean. 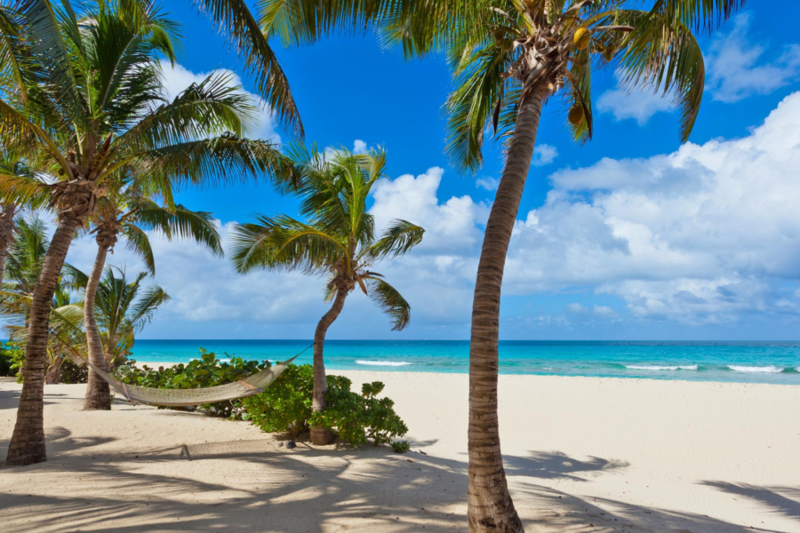 Stretching and sprawling across its own ocean for over a million square miles, you can find more than 700 islands, islets and reefs in this tropical sea, from the West Indies to the Bahamas. Languages from Spanish and Dutch to French and Hindustani are spoken on these shores, and tens of religions practiced across the waters. But, while many of the islands are countries in their own rights, dependent territories or sovereign states, some are privately owned and operated. Here, we round up five of the best – from an infamous haunt of the rich and famous to an eco-island, all but untouched by the modern world. 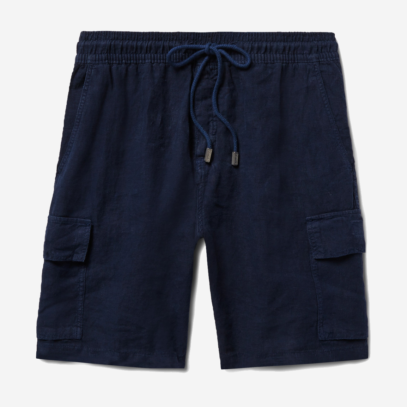 And, if you are lucky enough to wash up on the shores of these paradisiacal escapes, we’ll also let you know what you should be packing to wear. A catastrophic explosion ripped Saba from the seabed to leave a volcanic isle well worth visiting. Mountain mists shroud mahogany forests, which tier seaward past orchid groves and mango trees. Sited above Atlantic surf on the eastern tip is a commercial airstrip, the world’s shortest in fact, which welcomes an occasional turboprop from St Barths. "A catastrophic explosion ripped Saba from the seabed to leave a volcanic isle well worth visiting..."
Such fearsome topography keeps lesser travellers at bay. Saba receives just 25,000 yearly visitors – the same number that hit Monaco in a single day. And how tragic. 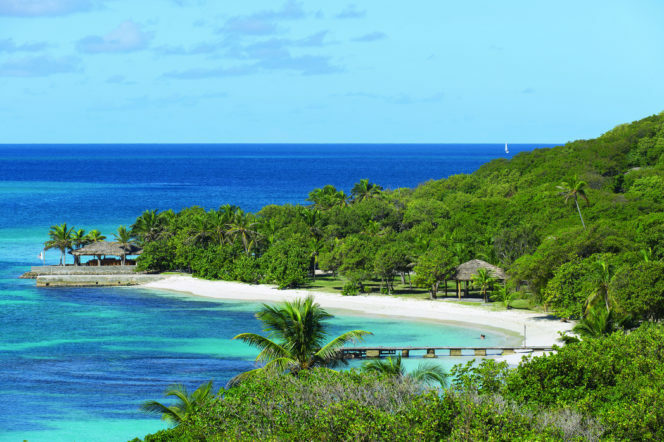 Because the island has become an eco-tourism pioneer that maintains the moniker “The Unspoiled Queen of the Caribbean”. Eleven hiking trails run through the Netherland’s most diverse landscape, from sulphur mines to sandy beaches, where Atlantic tides sweep all footprints away. And thirty permanent moorings welcome yachts to knockout dive sites like The Pinnacles. 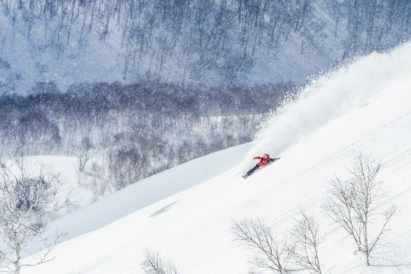 With a little more rugged terrain here, we’d recommend some heavier boots than you’d expect for the Caribbean. 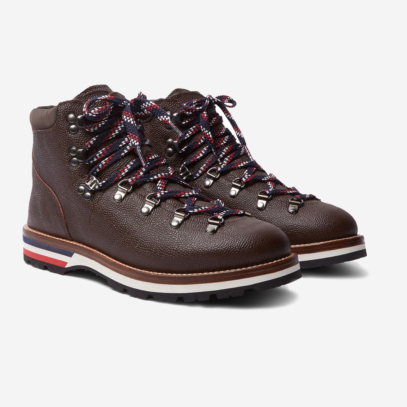 Although more at home in the Alps, Moncler’s Pebble-Grain Leather Hiking Boots will make short work of the hills and trails around the island, and will pair well with Vilebrequin’s Linen Cargo Shorts. 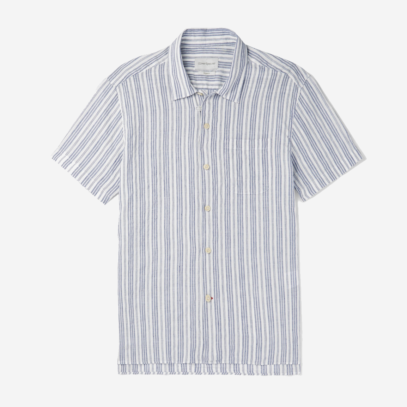 On top, keep things cool with the workwear-inspired Oliver Spencer, and their striped Organic Cotton and Linen Blend shirt – the perfect wardrobe for an eco-tourist. Deep in the Caribbean, one hundred miles west of Barbados, lies an island where millionaires and superstars spend their summer months. With a year-round population of just 500, the private paradise is home to the mansions and villas of the rich and famous – who spend their time eating at exclusive restaurants, lazing around their staffed compounds or walking on the fine sand beaches. Welcome to Mustique. "With a year-round population of just 500, the private paradise is home to the mansions and villas of the rich and famous..."
After being bought in 1958 by Lord Glenconner, the island was transformed into the high-class tropical idyll it is today – and the stars followed soon after. 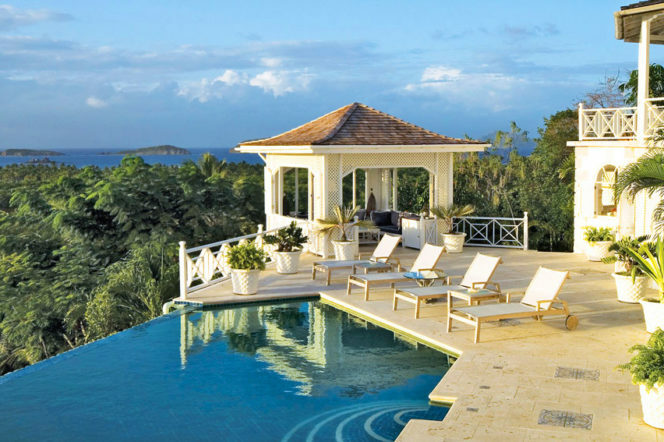 Sir Paul McCartney, David Bowie and several members of the Royal Family are just several of the high profile names to have owned properties on Mustique, with many more visiting for shorter stints in private villas or one of the island’s two hotels. 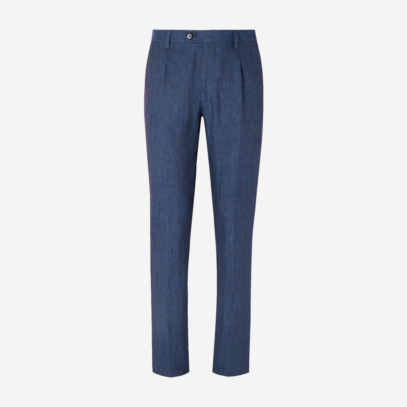 So if you find yourself rubbing shoulders with the rich and famous, you need to ensure you’re dressed for the occasion. 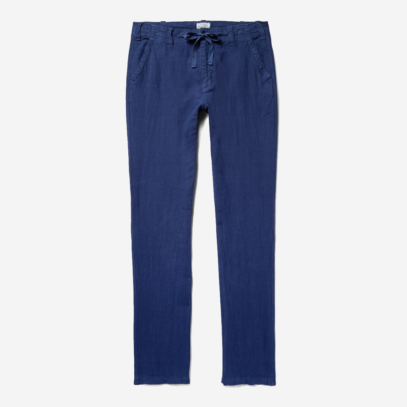 Start with a blazer and chinos, stalwarts of the smart casual wardrobe – and your key word here is linen: the lightweight material that walks the fine line between comfort and formality. 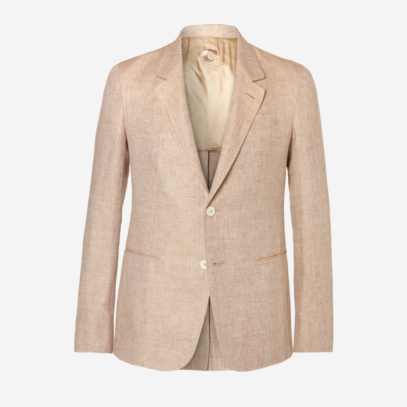 Caruso’s Herringbone Linen Blazer is enough to keep you looking sharp, and Etro’s Dark Blue Linen Trousers won’t look out of place even in the island’s most exclusive eateries. 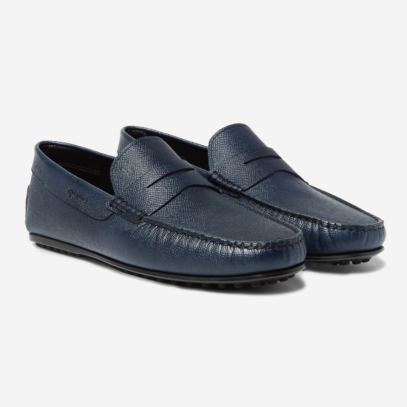 For shoes, go for Tod’s – they’re leather, they’re sleek and, although designed specifically for the city, will do a grand job on Mustique. A British overseas territory, Anguilla is one of the most northerly of the Lesser Antilles, and lays east of Puerto Rico. Approximately 16 miles long, it is among the larger islands in the chain, and has a rich culture including music – with reggae and soca music popular – and sports – from cricket to sailing. 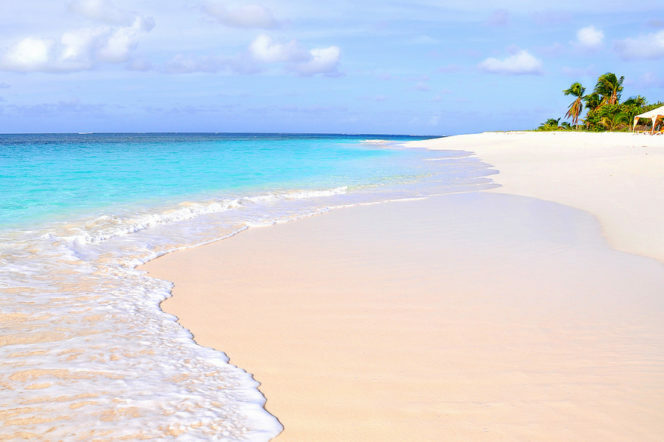 "Anguilla enjoys a reputation as the culinary capital of the Caribbean, so chart a course and loosen your belt.."
The main reason to visit this popular island however – other than its status as a tax haven – is the cuisine. Influenced by everything from Spanish to African food, seafood is abundant. Salt cod, conch, mahimahi, red snapper and marlin are just some of the dishes from the sea, with goat a popular meat. Anguilla enjoys a reputation as the culinary capital of the Caribbean, so chart a course and loosen your belt. Your taste buds will thank you. Loose clothes are key, then. 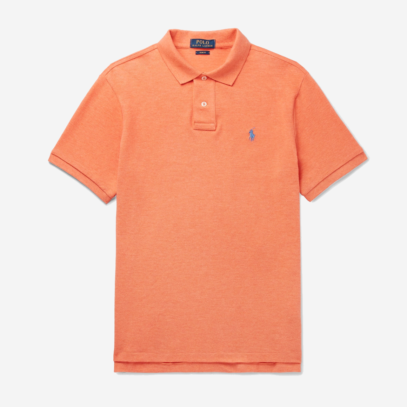 We’d go classically colourful, with a pairing of Polo Ralph Lauren’s slim fit polo shirt and the brand’s Twill Chino Shorts. 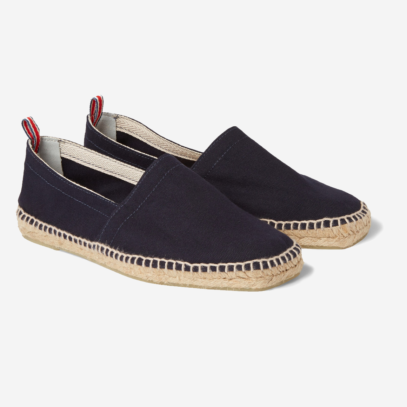 Each have the stretch in them to enjoy the food, and slip on a pair of the ridiculously good value Castaner Espadrilles for those late night sojourns on the beach to walk off dinner. As the name suggests, there’s not much to this tiny island. But, what does cover this 115-acre tropical island is well worth visiting. With just 22 spacious one bedroom cottages and two bedroom beach villas, you can enjoy the privacy you desire with gorgeous views of the Caribbean Sea – where telephones and Wi-Fi aren’t available and you communicate with the attentive staff via flags. Yes, that’s right – flags. "Enjoy the privacy you desire with gorgeous views of the Caribbean Sea - where telephones and Wi-Fi aren’t available..."
The stay is so memorable, in fact, that National Geographic named this one of their Unique Lodges of the World. 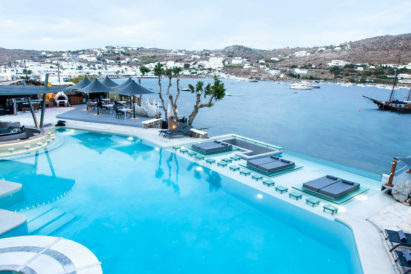 Two restaurants, one hillside and one beachside, boast gourmet chefs offering a variety of creative cuisine inspired by locally-caught seafood and organic island-grown fruit and vegetables. During sunset, weekly beach barbecues with great local music make for a romantic dinner under the starlit skies. And that’s before we even get to the two yoga pavilions, a Balinese-run luxury spa and wellness center, and an array of land and water sports. We’re relaxed just thinking about it. And so, relaxation is key here. 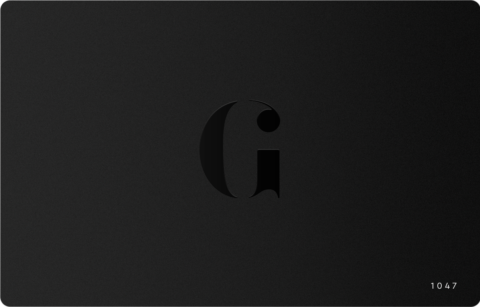 Go for flowing light materials. 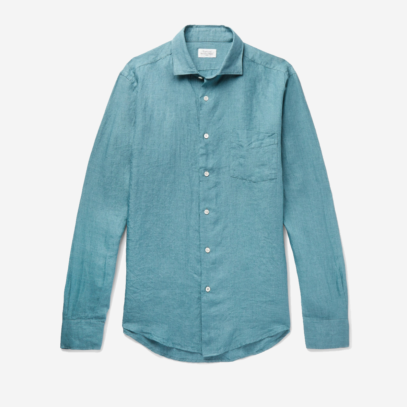 Hartford do a brilliant linen shirt – perfect for surfers and free-spirited adventurers alike. 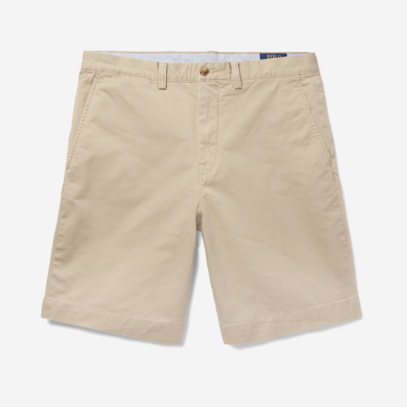 Orlebar Brown are your go-to short suppliers, impeccably-tailored and impossibly comfortable. 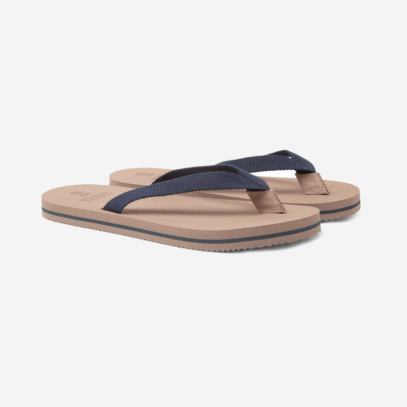 And, to finish off your ensemble, Brunello Cucinelli’s cotton-canvas flip flips will ensure you don’t move to quickly, and keep relaxing as you should. 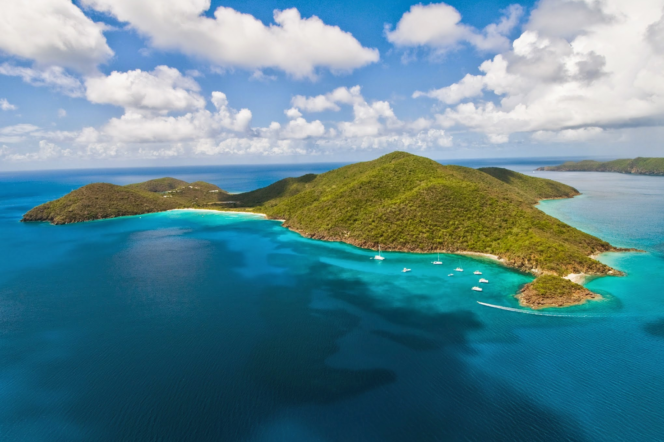 One of the British Virgin Islands, Guana is one of the few remaining privately-owned islands in its part of the world. Boasting powder-sand beaches, tropical forest and mountainous values, this is the place to enjoy the simple – but rich – life. "Boasting powder-sand beaches, tropical forest and mountainous values, this is the place to enjoy the simple - but rich - life..."
So, if you’ve always dreamed of having a Caribbean island all to yourself – if only for a little while – you’ll be thrilled to know that Guana is available as an all-island rental for groups up to 42 people (give or take a few). The entire Island is available to be yours – every magnificent acre of it – for as long as you like, as long as you have around $25,000 per night to splash into these crystal clear waters. 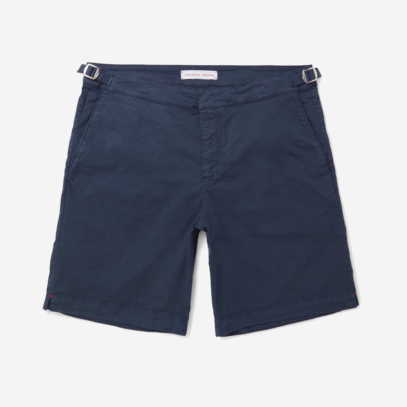 With an island to yourself, you needn’t ever change out of your swimming trunks. 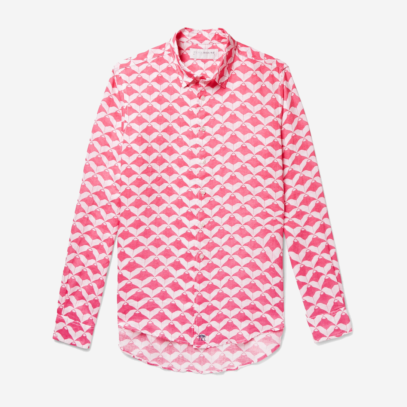 But, if you are entertaining, go for a loud linen shirt – the type that may be frowned upon in more public parts of the world – such as this offering from Pink House Mustique. 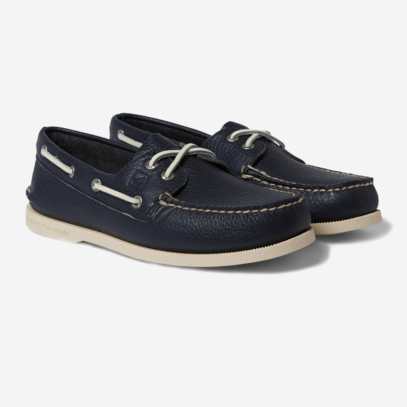 Paired with Hartford’s Troy Drawstring Trousers and a pair of Sperry Boat Shoes, and you’ve got an outfit as suitable for relaxing as for enjoying and exploring your very own slice of paradise.